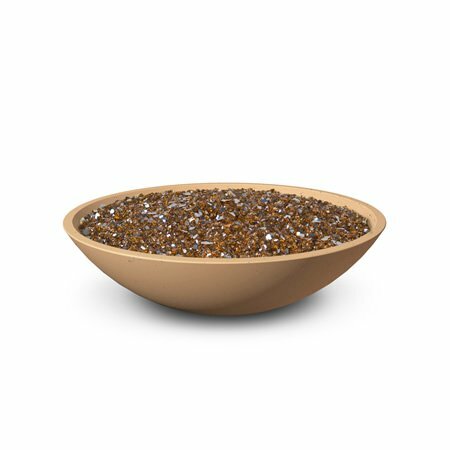 Modern and minimal, the Marseille Gas Fire Bowl – 40″ will be a big hit at your next get together. 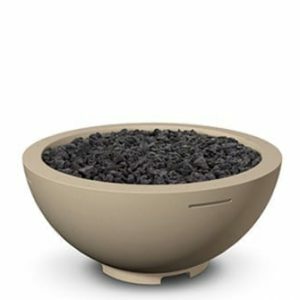 This large gas fire bowl is handcrafted from glass-fiber reinforced concrete and comes with a stainless steel burner, hose, and regulator. 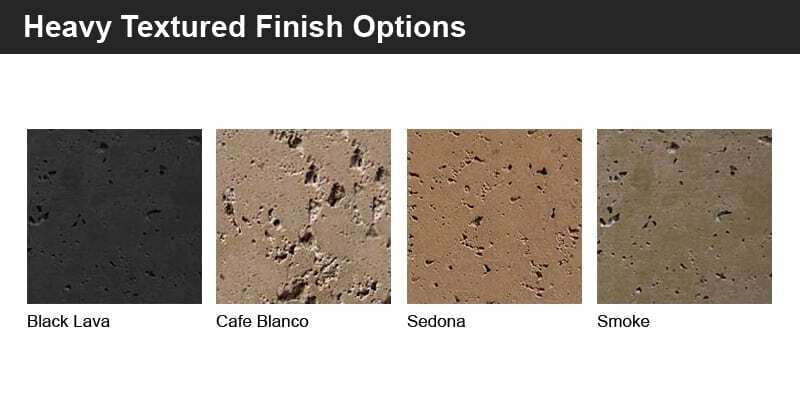 Choose from 4 different color options to really get the look you are going for and customize it with custom fire glass to complete the whole look. 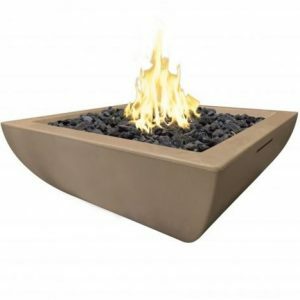 Perfect for lounging around the fire with family or having a few drinks with close friends. 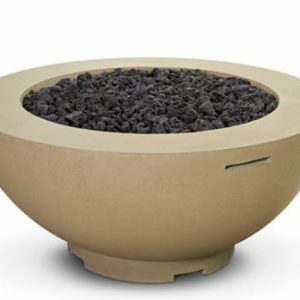 The Marseille Gas Fire Bowl – 40″ is available in both Natural Gas or Propane and in either Match Lit Ignition or All Weather Electronic Ignition System options. 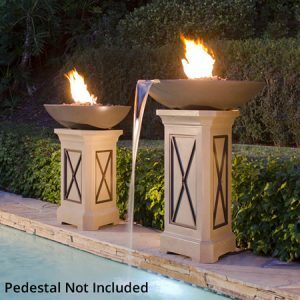 The flame is adjustable for comfort.